SQL 2012 is one of the fastest database servers available today. ASPHostPortal.com is the perfect solution for SQL 2012 Hosting. Start with us today! Make critical decisions based on live data with SQL Server 2012 Hosting. The experts at ASPHostPortal.com elevate our best-in-class technology, empowering you to integrate corporate and cloud data and access the data in real time. Global load balancing, data replication, bare metal recovery and geographically dispersed datacenters, combined with today’s data management and recovery tools in SQL Server 2012, enable ASPHostPortal.com to offer world-class business continuity. And the hosted solution is fully customizable; affordable; built to scale and evolve; and backed by our experts. SQL Server 2012 Hosting is Here with FREE Trial! Start your FREE Trial SQL 2012 Hosting hosting with us and get professional web hosting support! If the service does not meet your expectations simply cancel before the end of the free trial period. Risk FREE! Why wait longer? You can start from as low as $4.49/month to start hosting your SQL 2012 on our environment. If you do not have a domain name, please do not worry as we will give you one FREE domain name (worth $14.99/year) if you register for any of our hosting plans for 12 months service(*). We will do our best to help you create your first web presence on the internet and we will continuously support the growth of your business. For all existing customers, a migration to a server that supports SQL 2012 is required and hence, a migration and setup fee apply. Starting from 15th April 2012, we have offered the latest SQL Server 2012 version and for clients who registered before this date is required to pay this setup fee. 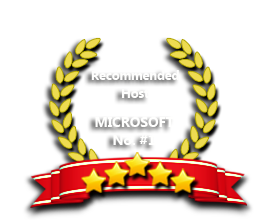 Our Windows Cloud Hosting fully supports SQL Server 2012 hosting. You are more than welcome to try our Free Windows Cloud Hosting before you decide to buy. You can get your Free Cloud Windows hosting account up and running within the next few minutes.